Forest Garden 6 x 8 Essential Overlap Dip Treated Shed: This Forest Garden Essential Overlap 6x8 Shed comes in two options, depending on your personal preference, with two windows or without windows. 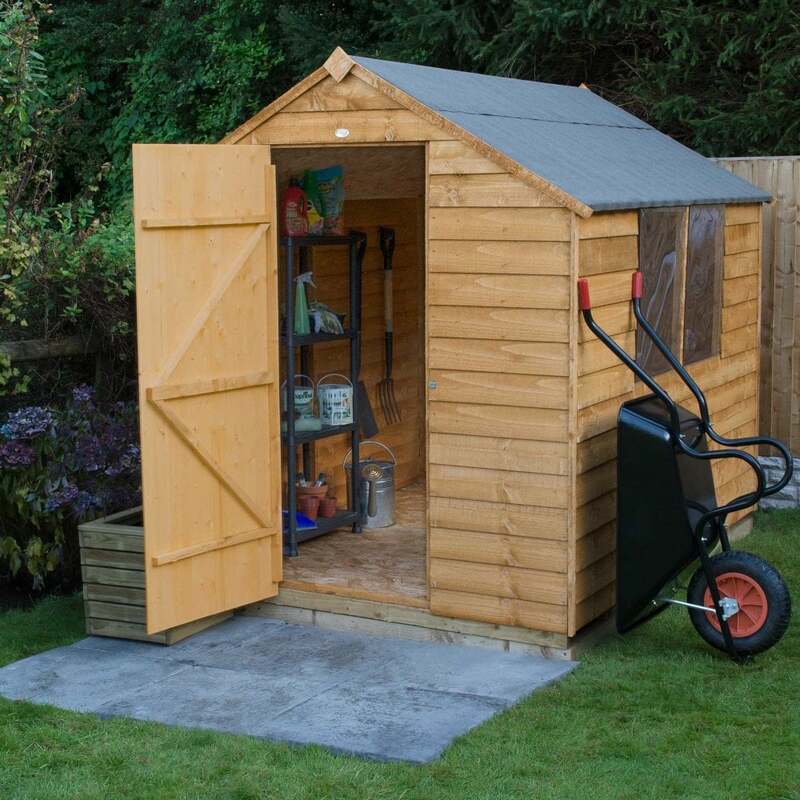 The ridge height of this shed provides you with plenty of head space, storage space and has a strong and secure single door with hidden hinges. This single door has a double ‘Z’ bracing so it can be hung either side depending on your personal preference. The roof to this Forest Garden Overlap Shed is a traditional apex roof so it will look fabulous standing on its own or even placed in the corner of your garden. The windows are made from an extra strong polycarbonate panels and are virtually unbreakable and are fixed in place with security screws. To ensure maximum security for this shed, a hasp and staple lock has been fitted. The floor and roof has been produced with durable sheet material and the shed is finished with a waterproof felt covering.